With Chicago Restaurant Week winding down, you may be ready for a more traditional taste of Chicago. Below are eight foods that shout CHICAGO. Sure you can head to Chicago’s trendy Michelin-starred restaurants including Grant Achatz’s Alinea or Thomas Lents' Sixteen or Grace. But if you want to discover the essence of the city Carl Sandburg called the “Hog Butcher for the World,” in his poem Chicago you'll want to start with SMC's "great eight." These are the foods that are Chicago’s answer to Philly’s Cheesesteak, Baltimore’s Crabcakes, NYC’s Pastrami and Corned Beef, Buffalo’s Wings, Milwaukee’s Fried Cheese Curds, New Orleans’ beignets and Cincinnatis' “3-, 4-, or 5-way” chili. Whether it’s a hot dog from Weiner Circle, a cheeseburger from Billy Goat or the thin-sliced, gravy-laden Italian Beef from the Portillo's chain--these are the foods that say Chicago. 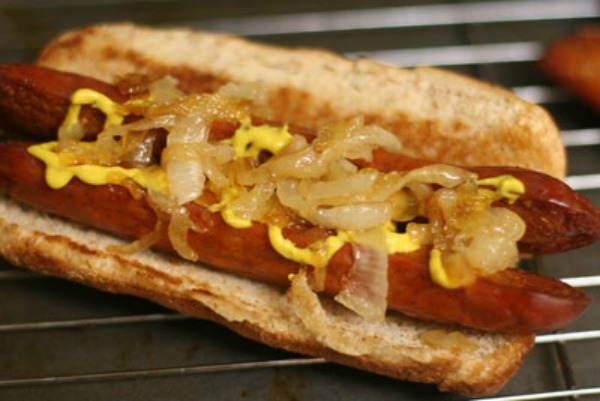 A blend of juicy, crunchy, sweet smoked Polish sausage created in the 1940's--the Maxwell St. Polish is served on a hot bun with a layer yellow mustard, topped with a mountain of grilled Sweet Colossal Spanish Onions with an abundance of Spicy Hot Sport Peppers. You can try one at Jim's Original, where it comes with a bag of French Fries included for free. 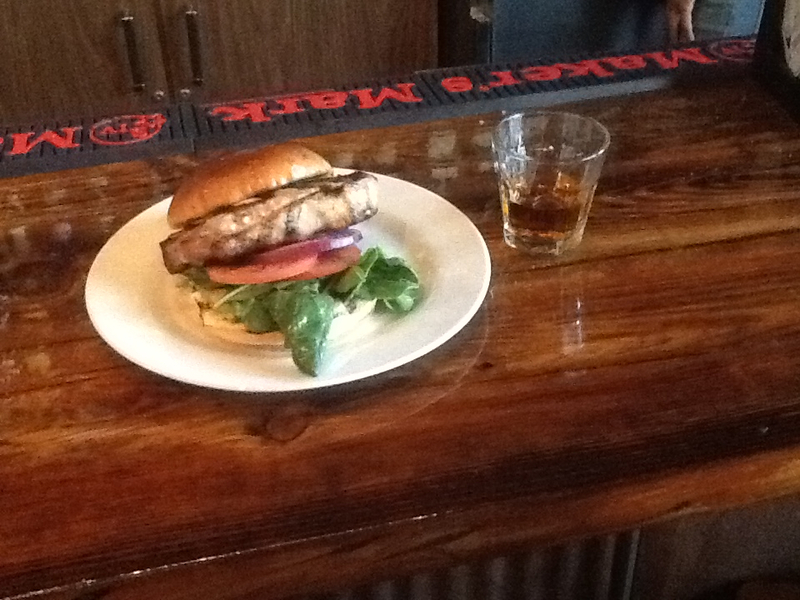 What could be more Chicago than the pork chop sandwich with its lack of pretense, easy-going and comfortable facade. Sometimes called the Maxwell Street pork chop sandwich, where it was originally served "bone-in" on a soft white hamburger bun with mustard then smothered with a mountain of sauteed (greasy) onions...sure to keep the wind chill at bay. Jim's Original serves a great version, as does Maxwell Street Depot in Bridgeport. Chicago is home to many great Italian restaurants and even has its own "Little Italy" neighbor on Taylor St. So why, Italian Beef, not pasta? Italian beef offers a stick to your ribs honesty that is good any time of the year but can especially raise your spirits on a cold gray day during Chicago’s extended winter. 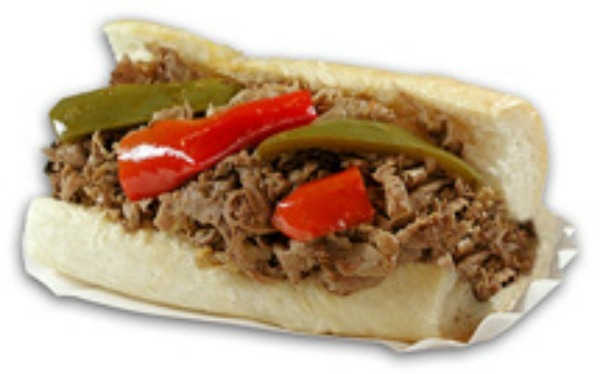 The typical Chicago Italian beef sandwich is topped with gravy, peppers, and giardiniera. Two of our favs are: Al’s Italian Beef, created many moons ago (1938) at the original Al's on Taylor Street; and the small but mighty, one and only Johnnie’s Beef (cash only) at 7500 West North Avenue in Elmwood Park. OPA! You really shouldn't go to Chicago's Greektown without experiencing this delicious comfort food. The the flaming Greek cheese dish reportedly originated in Chicago at the Parthenon. 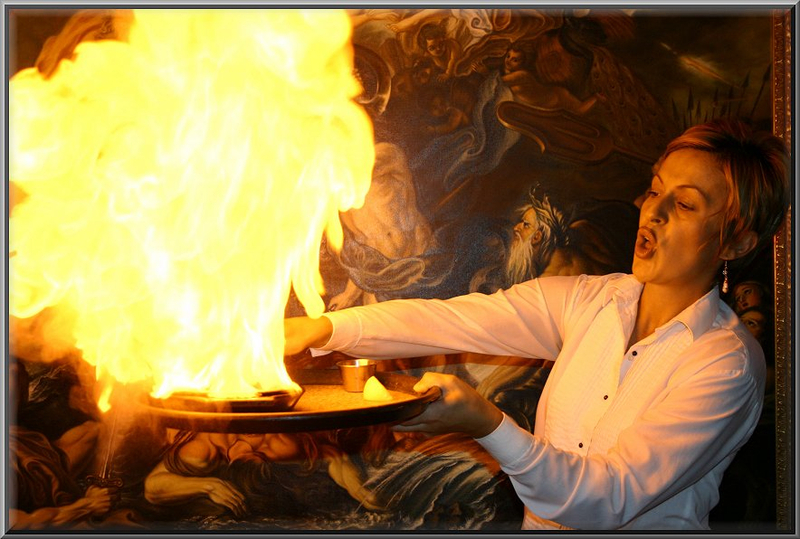 To get an authentic taste of this treat head to the Parthenon in Greektown and order the flaming saganaki and maybe a little ouzo! Deep Dish Pizza, a Chicago original, can now be found around the world, but there's nothing like having the real thing in its sweet home Chicago. Think back to 1943, when Chicago may have been best known for Al Capone, when WW II was still raging and when there was no Internet. A little spot on Ohio St. in Chicago, that was supposed to be a Mexican restaurant, somehow became Pizzeria Uno--the birthplace of Deep Dish Pizza. The deep dish recipe, said to be originated by Rudy Malnati, Sr., the father of Lou Malnati of Chicago's (and the world's) famous Malnati pizza chain. You can get deep dish all around town but to get a taste of history along with your pizza, check out Unos original spot at 29 E. Ohio or any of the Lou Malnati locations. It's not a wiener, it's not a frankfurter, it's a hot dog--and it's Chicago's signature dish. Hot dog devotees spend endless hours debating who serves the best Chicago dog and how it should be dressed. 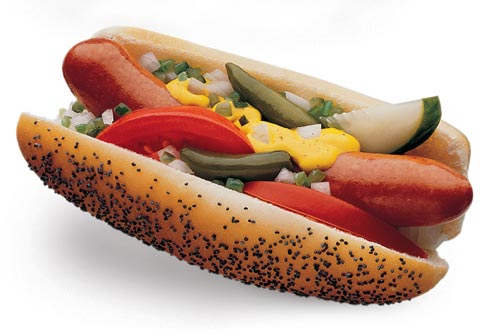 Typically, the Chicago dog, follows these specific rules: First off, a Chicago Style Dog is never boiled. It is steamed to approximately 170 to 180 degrees. Secondly, it is served in a poppy seed bun. Third, the dog must be all beef and usually that means Vienna Beef Hot Dogs which comprise about 80% of hot dogs served in Chicago. Fourth, the dog must has snap. In other words, when you bite into your dog you should notice a slight resistance from the casing, this is snap. As to who serves the best Chicago dog, the name Superdawg comes up often as does Gene & Jude's in suburban River Grove. Many rib tips are discarded from a “properly” trimmed spare rib—but not in Chicago where the rib tip is king. Fatty and chewy—smoked and topped with the perfect sauce—rib tips can easily become an addiction. To get the best rib tips in Chicago, it pays to head south. 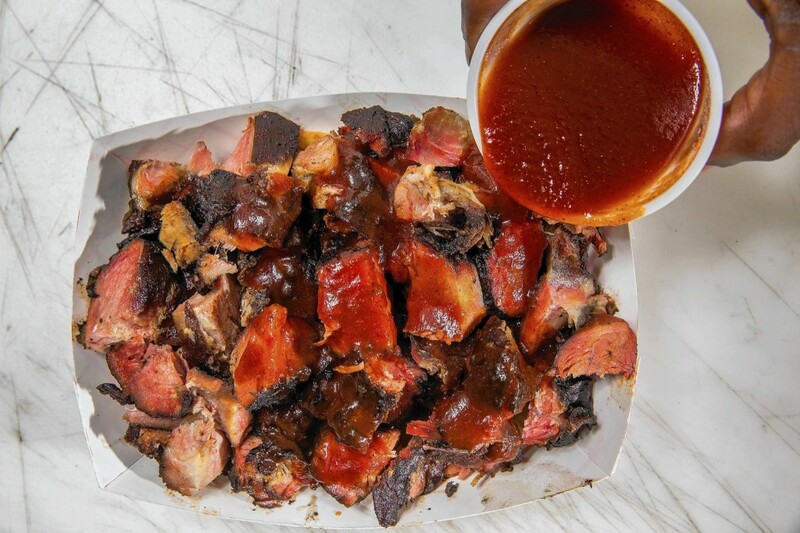 Stop in any bbq joint and even if they’re not on the menu, ask for the rib tips. One popular bbq spot is Barbara Ann’s BBQ—nothing fancy but their food is the real thing— slow cooked in hot smoke over an oak, charcoal and hickory fire. You'll find Barbara Ann's at 7617 S. Cottage Grove Ave. on Chicagos' South Side--open most days from noon to midnight. Although not well-known outside of Chicago and not that easily found in the Windy City, the Big Baby is a Chicago original and worth tracking down. 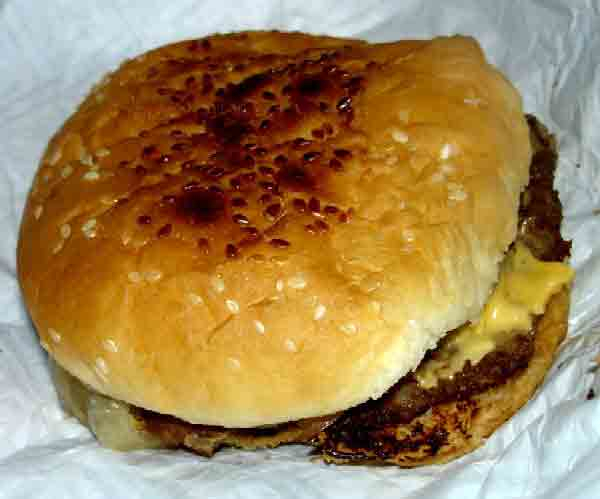 'Big Baby' is a style of double-cheeseburger with grilled onions, mustard, cheese, ketchup, pickles on a sesame bun with the condiments traditionally located underneath the burger patties. The baby was born at Nicky's The Real McCoy on 58th and Kedzie in the Gage Park neighborhood and can still be found there along with other even bigger babies including the Big Baby pair and the Big Baby Combo. 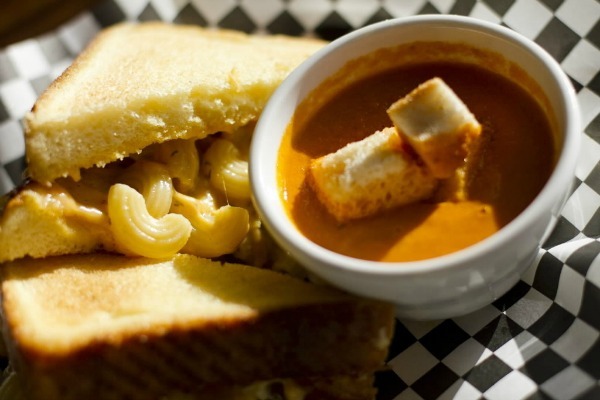 Filed under: Chicago Food, Chicago Restaurants., Chicago Tourism.